Ludwig Engineering Associates, Inc. has designed more than 500 subdivision and planned community projects throughout California and Arizona. A typical project incorporates most phases of civil engineering including land planning, land surveying and mapping, design of streets, highways, final maps, water and sewer systems, drainage facilities, traffic signals, dry utilities and the construction staking of these facilities. 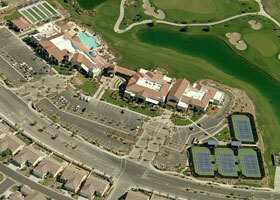 Ludwig provided planing, civil engineering and surveying services for improvements for a 560-acre, 470-lot residential golf course community with recreation center, clubhouse and golf maintenance facilities, multiple well sites and tunnels for TD Desert Development. The work included land planning and final engineering including grading, street, sewer, water, storm drain and signing and striping plans and drainge study. Ludwig survey crews performed the construction staking. 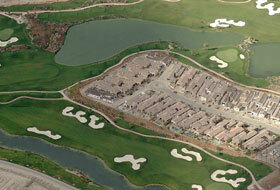 The project for Del Webb/Pulte Homes is a 1,100 acre, 3,500 lot active adult residential golf course community with lakes and streams, a recreation center, clubhouse and golf maintenance facilities. The work included land planning and a specific plan with the preparation and processing of all the tentative maps. Once the entitlement process was complete Ludwig Engineering was responsible for the final engineering for all tracts within the project including grading, street, sewer, water, storm drain, and signing and striping plans including the major public street improvements for Jefferson Street, Varner Road, Avenue 40, Madison Street, Monroe Street and Eastside Drive (over six miles of public streets). Ludwig survey crews performed construction staking.